Interesting 15 min. video demonstrating the Army Signal Corps using an Hallicrafters SCR-299. While certainly a promotional piece for Hallicrafters, this has great footage and captures a bit of the excitement of radio expanding into new frontiers. 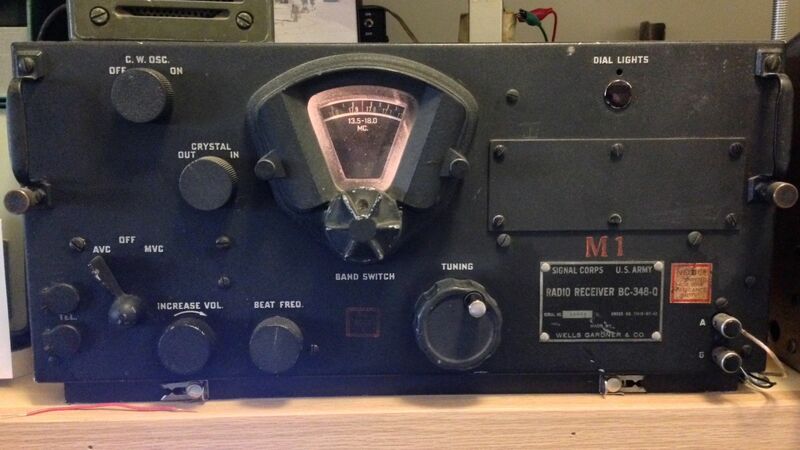 There is a discussion of how the radio was modified for military conditions as well as some innovations which were implemented to make such a system mobile. As an aside, it never ceases to amaze me how clear and crisp black and white film technology of the time seems somehow better than the color images which replaced it. But that may just be me — a black-and-white guy living in a colorized world! 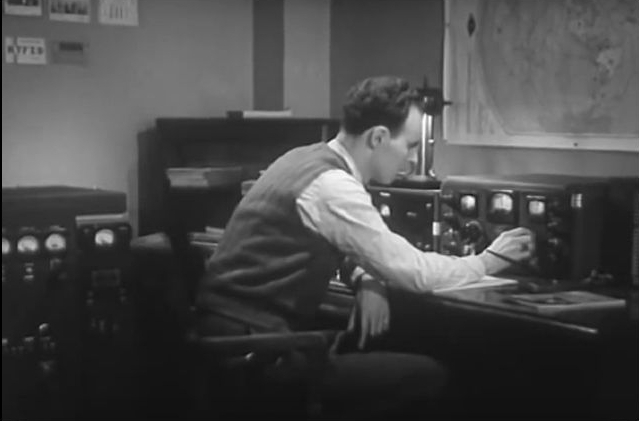 There is a second part to this video, as well as other WWII-era videos available on YouTube with a bit of searching, and of course don’t forget to check out the SWLing’s Shortwave Radio Archive page for more interesting shortwave audio old and new! This entry was posted in Boat Anchors, Ham Radio, News, Nostalgia, Radio History, Radios, Shortwave Radio, Videos and tagged Army Signal Corps, WWII, WWII Radios on February 5, 2016 by Robert Gulley. 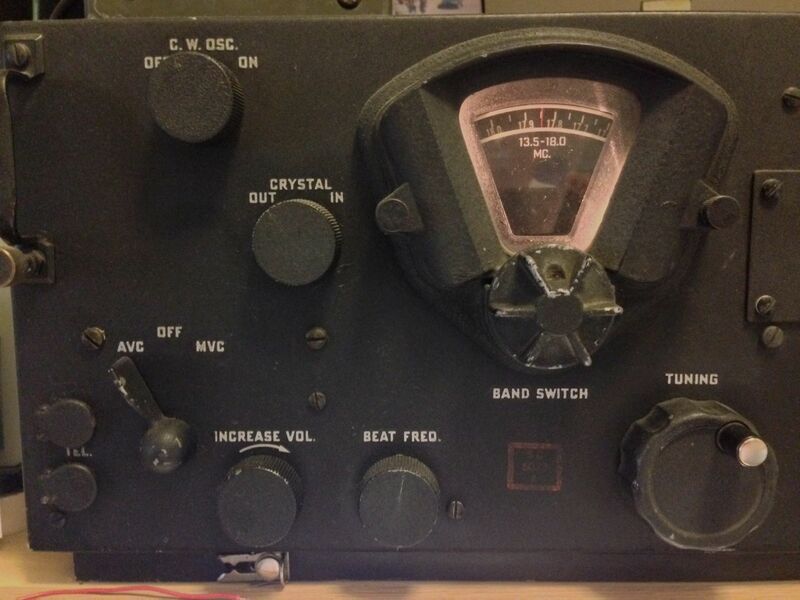 I write a great deal about DSP portables, SDRs, and modern ham radio transceivers, but truth be known, my passion is for older rigs–ahem, much older–the antique “boat anchors” of the radio world. Tuesday afternoon, I had a rather involved soldering project to do on behalf of my organization, Ears To Our World. 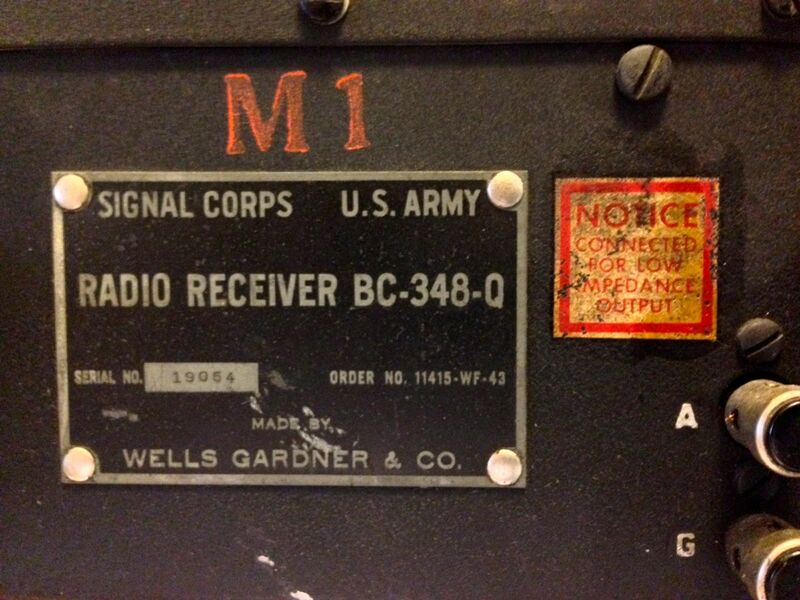 While I worked, I decided to fire up my Signal Corps BC-348-Q to hear what was on the air. I promptly discovered Radio Exterior de España on 17,850 kHz–starting with their interval signal; REE, care of my BC-348-Q, kept me company while I soldered almost three hundred connections. I listen to my BC-348-Q nearly every week. Usually, she’s tuned to 9,580 kHz for my morning dose of Radio Australia. In the winter, the ‘348’s tubes keep my little radio room a little warmer than the rest of my house. In the summer–well, I just sweat a little more. The BC-348 series, for example, is well-known for its use in WWII allied bombers–these rigs were mounted in the likes of the B-17, B-24, B25, and others of the era. Indeed, mine still has the original clips on the base that anchored it to the radio operator’s onboard work table. The ‘348 was used as a long-distance liaison receiver during WWII. The BC-348 series was built with simplicity, functionality, and serviceability in mind. It was built to withstand life on a B-17 bomber–the extreme vibration on start up, the extremely low temps in the upper atmosphere; it could be serviced by the radio operator in flight, if necessary. Its controls are simple, bare-bones, even. 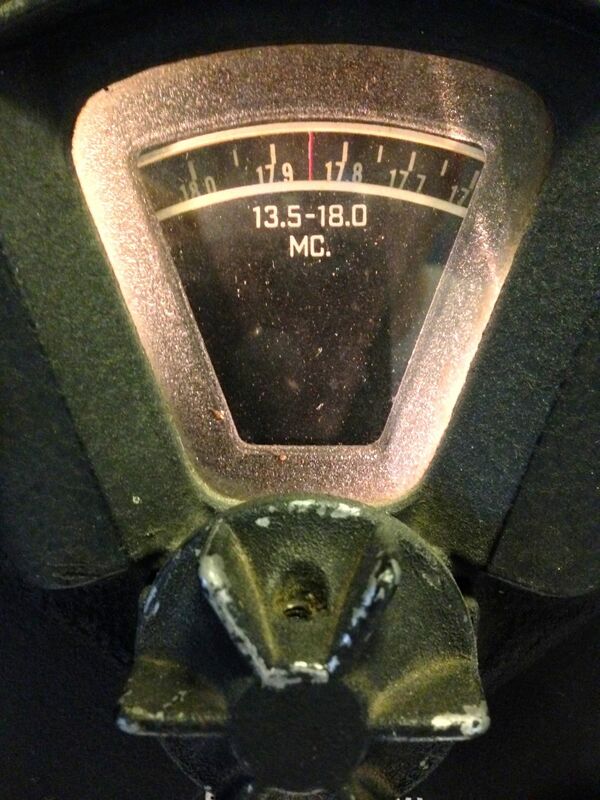 The tuning knob and analog dial are beautifully engineered and precise. The ‘348 has a power switch, volume control (switchable from auto to manual gain), crystal filter, CW switch, beat frequency control, tuning knob, and a band switch (located just below the dial). The antenna and ground terminals are mounted on the front of the radio for easy accessibility. 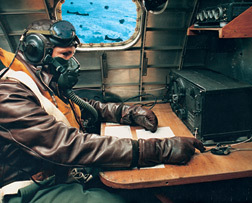 All controls are spaced so that the radio operator could use the ‘348 even while wearing thick cold-weather gloves. You can’t do any medium wave DXing on the ‘348, however: this receiver was intentionally designed with the medium wave band omitted. Evidently, Uncle Sam wanted radio ops to be focused on communications instead of entertainment (but that’s okay; the government also made morale radios for the latter). 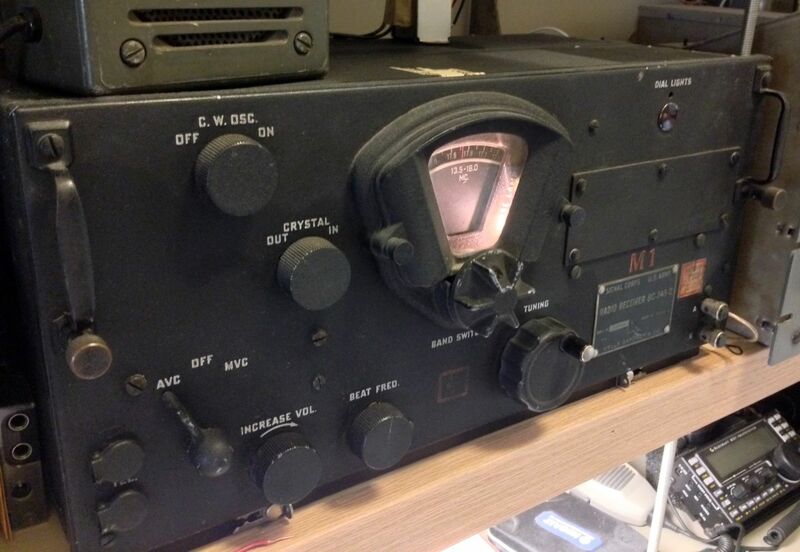 When I go to the Dayton Hamvention–or any hamfest, for that matter–it’s radios like the BC-348-Q I seek. Tube/valve radios sometimes lack the sensitivity and (digital) accuracy of modern tabletop shortwave receivers, but they make up for this in audio fidelity. As long as you have a properly-matched speaker, the sound can be…nothing short of amazing. Even though the ‘348 was never designed for robust audio, it still sounds richer and fuller than most modern tabletop radios. The sound is so warm it literally glows. Moreover, I’d be willing to wager that there are few modern receivers that can stand the test of time like these rigs. If you buy one of these old beauties, you must be ready to service them; inevitably, a capacitor or tube will fail in time. But they just…keep…going. I’m very much in debt to my good friend and radio elmer, Charlie (W4MEC) who kindly teaches me everything I need to know about these great rigs. He’s exceedingly patient, and that counts for much, as I’m not by nature technically inclined. But I do enjoy learning about these radios and how to service them; the romance of their history draws me in, and I simply can’t get enough. Note: It’s important to work with a knowledgeable elmer/mentor or a professional repair technician when servicing these boat anchors, because, unlike with our modern radios, their high voltages can severely injure (or even kill) you if you don’t know exactly what you’re doing inside the chassis. This is repair work for the professional. My BC-348-Q turns 71 this year–and I’m sure it has at least that many more years to go. I know that I’ll give it as much TLC as it can take. We must keep these still functioning pieces of history on the air. If you, too, have boat anchors or antique radios alongside your modern rigs, please comment! I’d love to learn about your favorites. In other words, what heavy metal is in your shack? This entry was posted in News, Nostalgia, Radio History, Radios, Shortwave Radio, What's On Shortwave and tagged antique radios, BC-348-Q, boat anchors, Signal Corps BC-348, Signal Corps BC-348-Q, WWII, WWII Radios on May 1, 2014 by Thomas.